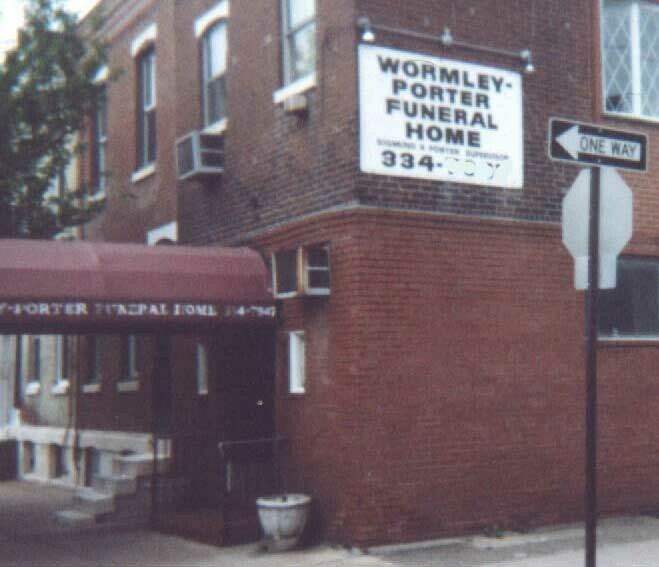 My very favorite one of all: WORMLEY'S! I noticed this late one night but didn't think to take note of its location. Later I checked both the yellow and white pages for it, but alas, no Wormley to be found! A quick search online turned up its location quite nicely. I'm not sure they're closed, but I suspect they are. I obliterated the phone number anyway. One picture I took that didn't come out was the plaque under the awning: Roscoe C. Wormley, Funeral Director. Isn't that the BEST mortician's name EVER? ?